Star Wars was released in theaters for the first time 40 years ago today and the world changed. This franchise has had an effect on countless people. 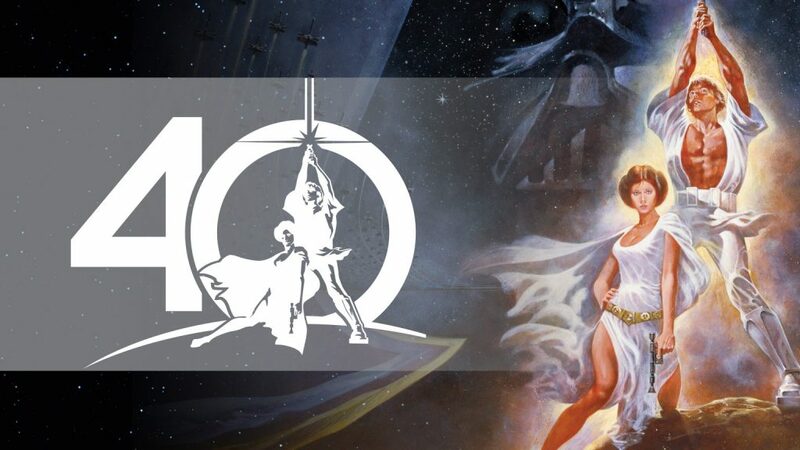 Whether you have been a fan since seeing the movie for the first time in a theater in 1977, are a newer fan introduced to the universe through The Force Awakens or even Star Wars Rebels, or somewhere in between, Star Wars matters to all of us some way, somehow. And each of us has our own stories about how we were introduced to that galaxy far, far away. Here’s mine. Let’s fast-forward to the early 1990’s. At this point, I found myself in love with a television series called Star Trek: The Next Generation. It was a show that I enjoyed with my dad, often asking to stay up a little bit later during the week to watch the re-runs that were airing. It wasn’t long before TNG pretty much became my everything. That is, until this conversation with my parents occurred. “You know, I bet you’d really like Star Wars” my dad said to me. And with that, my parents went and rented the trilogy from the video store and I watched them over a weekend. My “everything” suddenly changed. Of course I still loved (and still do!) TNG, but Star Wars captured my imagination in a whole new way. It wasn’t long before I was watching the films on repeat, reciting the lines as they were happening. I began picking up magazines and skimming through Star Wars books at the stores, then spouting off facts to my parents who would humor me by pretending to be interested in this thing I had become so obsessed with. Star Wars was completely engulfing my young life, and it was about to get even deeper. In 1995 I was walking through a retail store with my parents called Jakks (“…only Jakks will do!”) At this point, aside from some Star Trek and X-Men action figures I had at home, I was pretty much done with buying toys (HA! ), but I still always enjoyed browsing the toy aisles. 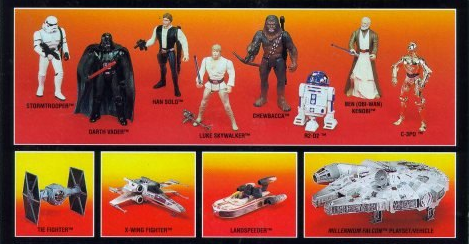 I had no idea that on this day I would find some action figures that would pretty much change everything for me: Kenner’s Star Wars The Power of the Force. I grabbed up Luke Skywalker and Darth Vader, and ran to my parents to show them – offering every excuse I could think of as to why I should be able to buy these even though I was “too old for toys.” I don’t remember exactly what I said, but whatever it was managed to convince them. It was probably something along the lines of “I’m not going to play with them. I’m going to collect them! These are collectibles!” I came home that day with my first-ever Star Wars action figures. This, of course, led to a crazed obsession with Star Wars toys. I was snapping up every new character I could whenever I saw them in the stores. At the time, I kept every figure I bought in the package, but would buy a double of any one that I also wanted to open. I remember how hard it was to find C-3PO at first. I remember hunting down all of the weird variations such as long bladed lightsabers, short bladed lightsabers, and half circles printed on Boba Fett’s hands, green cards without the hologram stickers, and so on. I was in deep. And I loved every minute of it! It was so much fun hunting down those figures, adding them to my collection, and reliving the films over and over on VHS. At this point, the full-on toy collector that had always been inside of me had been awakened. Obviously, toy collecting has really become a big part of who I am and what I do. It’s a hobby that I am very passionate about, and something I was even able to turn into something more. Star Wars played a huge role in that. I kind of chuckle when I look back and realize that Star Trek was my bridge to Star Wars, considering the supposed “nerd war” between the two. But I kind of love that, because both of these properties are important and special in their own ways. In my world, I couldn’t have one without the other. They were a bonding experience with my parents, and while I may have taken my love of them to extremes that my parents never did, the fact still remains that I am who I am today partly because of my love of these properties. So thank you, Mom and Dad. Thank you for introducing me to these worlds. Thank you for allowing me to be passionate, even if you didn’t always understand it. Thank you for guiding me to a place where I can be creative and share my passion with the whole world. All because I loved Star Wars.